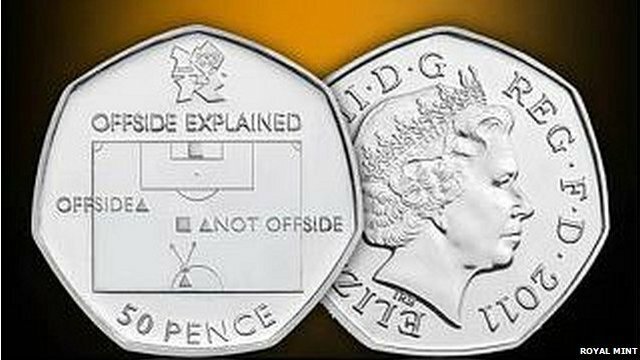 Coin aims to explain offside rule Jump to media player The Royal Mint has issued a new 50p coin which attempts to explains football's offside rule to the many who do not understand it. Offside rule on Olympic 50p coin Jump to media player The designer behind a coin created to mark the 2012 Olympic Games and featuring the offside rule explains his inspiration. 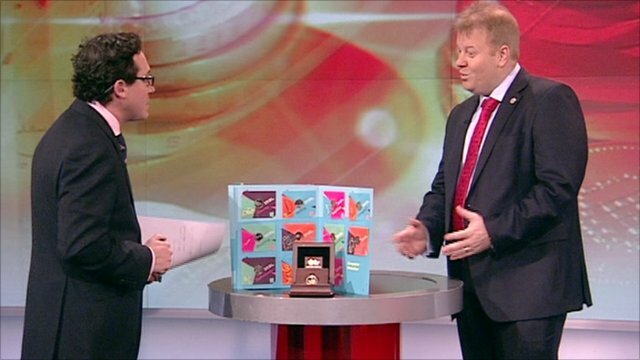 Coin 'explains off-side rule' Jump to media player Decimalization came into force 40 years ago this week and the BBC's Simon Jack speaks to Adam Lawrence from the Royal Mint. 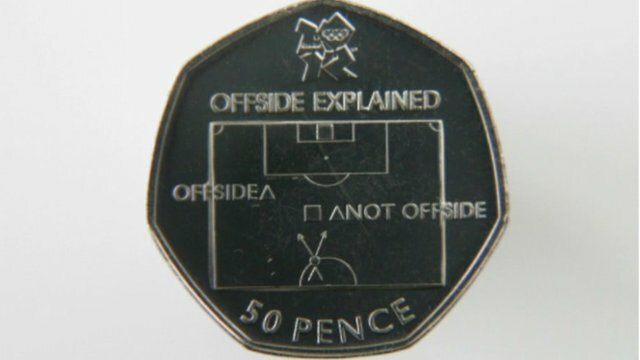 The Royal Mint has issued a new 50p coin which attempts to explains football's offside rule to the many who do not understand it. It is part of a new set of coins which celebrate the London 2012 Olympics. The coin's designer Neil Wolfson explained how he came up with the idea.